Black only ribbon. Utilizes a process by which a heated printhead is used to transfer a digitized image from the ribbon to the surface of the card. 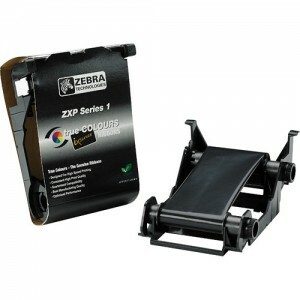 Can be used on all Eltron card printers. 1,000 images per roll. Price is per roll.